Singapore’s widening dengue epidemic has claimed its first fatality this year, as health officials brace for a tropical-disease outbreak that could become the city-state’s worst ever. Cholera outbreak in Mali’s Gao region leaves 2 dead. 5.2 Earthquake hits southwest of Sumatra, Indonesia. 5.1 Earthquake hits Khabarovskiy Kray, Russia. TC Barbara continues to weaken as it moves inland, dumping heavy rain across portions of southeastern Mexico. A rare tornado has hit near Milan, Italy. Tornado damage is reported to be heavy throughout the Brianza region. At least two people have been injured by flying debris nearby A4 highway. 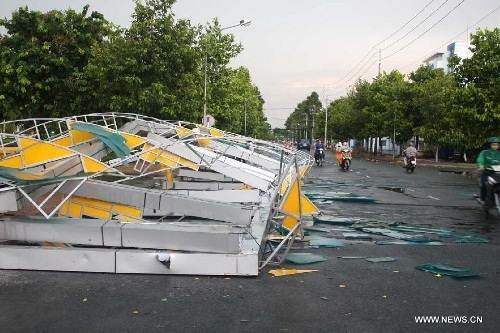 Hailstorm and cyclone in Cao Lanh city in Dong Thap province in Vietnam have caused huge damage. Winds have blown away roofs of houses and knocked down electric poles. Flooding in Xinjiang, China has claimed the lives of two people and affected over 16,400. Flood waters have damaged around 700 houses and destroyed 2,100 hectares of farmland in Kashgar. Heavy rainfall has caused flooding in eastern Portland, northeast coastal region in Jamaica. Classes have been suspended at several schools. No reports of injuries. At least two tornadoes touched down in Oklahoma Thursday. Tornado touched down near the town of Perkins in northeast Oklahoma whereas a second tornado touched near Ripley. Two more tornadoes hit Arkansas on Thursday injuring nine people. At least two were injured by lightning strike in Rogers. Chirinkotan (Northern Kurils): Based on satellite imagery, the volcanic activity (evidenced by a significant degassing plume) was no longer visible after 25 May and has probably ended or is pausing at the moment. Analysis of past images in return showed that the eruption likely began in early April already. Sakurajima (Kyushu, Japan): After a few days of relatively calmness, the volcano erupted at least 3 times today already. It seems to have begun another cycle of increased explosion frequency, which seem typically to last a few days. Popocatépetl (Central Mexico): An earthquake swarm and tremor pulses occurred today, which could suggest new magma on the rise, but this has (not yet) resulted in particular surface activity which remained rather calm. Degassing (SO2 emissions) remains strong. Santa María / Santiaguito (Guatemala): Activity has remained generally low, with occasional small to medium-sized ash explosions and small avalanches from the Caliente dome. Pacaya (Guatemala): The volcano has been mostly hidden in clouds, but strombolian (and perhaps effusive) activity continues as can be seen from glow at night and noises from explosions and degassing. A strong increase of seismic activity seems to have started a few hours ago as suggested by the current seismogram. A strong increase in activity occurred yesterday evening and culminated in the effusion of a lava flow from the Mackenney crater which lasted about 2 hours. The activity returned back to mild strombolian activity afterwards, with projections reaching about 200 m height and ash plumes rising to 400 m above the crater. Fuego (Guatemala): Activity remains weak. As it’s rainy season, the volcano is mostly in clouds, but the seismogram and INSIVUMEH reports indicate occasional small explosions, some rockfalls and degassing events. Copahue (Chile/Argentina): The seismic crisis continues, but has decreased in intensity. 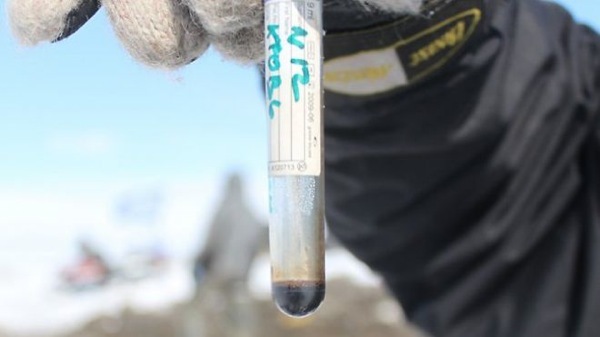 An eruption in the near future still remains a likely scenario, SERNAGEOMIN scientists emphazise, as this decrease in energy could be temporary. It is impossible to predict whether this is a question of days or weeks, or even if an eruption actually will occur. At the same time, authorities (ONEMI) intensify their preventive measures and reported that 316 people have now been evacuated. It is estimated that more than 2,200 people live in the areas most at thread (Barco, Bultalelbún, Trapa Trapa, Guallalí). Tropical Storm Barbara intensifies to hurricane strength. Hurricane Barbara, which made landfall Wednesday on the southern Pacific coast of Mexico has claimed the lives of at least two people. At least 14 fisherman in Tapanatepec, Oaxaca are still reported to be missing. Oaxaca officials have prepared emergency shelters and suspended schools in coastal areas. According to the U.S. National Hurricane Centre, Barbara had weakened to a tropical storm by evening. Heavy rainfall has damaged the roof of the Confederations Cup stadium (Mane Garrincha stadium) in Salvador, Estado de Bahia, Brazil. A 300-foot landslide has been reported north of Langley on Whidbey Island. According to officials, the landslide isn’t threatening any homes and there have been no evacuations. Overnight thunderstorms in Toronto, Canada, led to severe flooding across the Greater Toronto Area Wednesday, with the Don River overflowing its banks and GO Transit lines washed out. A colossal river ice jam that caused major flooding in Galena, a remote Alaska town was starting to churn Wednesday as water finally chewed ice chunks away from the stubborn, frozen mass after most of the residents were forced to flee from the rising water. Ocean data collected over 135 years ago by the crew of the HMS Challenger oceanographic expedition has helped confirm global warming. Researchers from NASA and the University of Tasmania used the data to provide further confirmation that humans have played a part in today’s changing global climate. The team combined the ship’s measurements of ocean temperatures with modern observations from the international Argo array of ocean profiling floats. They used state-of-the-art climate models to get a picture of how the world’s oceans have changed over the last century. 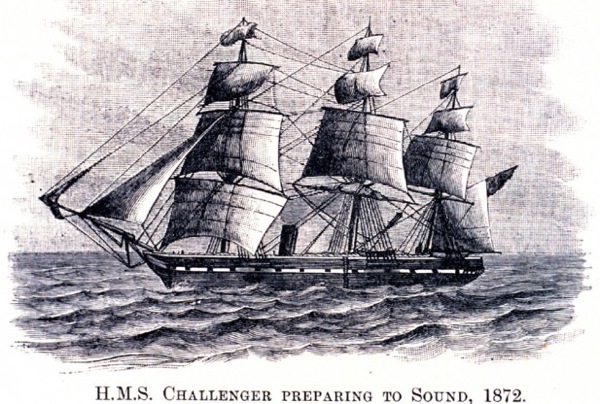 The Challenger voyage was the world’s first global scientific survey of life beneath the ocean surface. During this expedition, scientists measured ocean temperatures, lowering thermometers hundreds of feet deep on hemp ropes. “Our research revealed warming of the planet can be clearly detected since 1873 and that our oceans continue to absorb the great majority of this heat,” said researcher Will Hobbs of the University of Tasmania’s Institute for Marine and Antarctic Studies and the Australian Research Council’s Centre of Excellence for Climate System Science. Challenger’s measurements revealed that thermal expansion of sea water caused by global warming has contributed to about 40 percent of the total sea level rise seen in tide gauges from 1873 to 1955. The remaining 60 percent was likely to have come from the melting of ice sheets and glaciers. “This research adds yet another suite of compelling data that shows human activity continues to have a dramatic influence on the Earth’s climate,” said Hobbs, lead author of the paper which was published in the latest edition of the journal Geophysical Research Letters. The incidence of new infections seems to be decreasing. The National Health and Family Planning Commission, China notified WHO of one additional laboratory confirmed case of human infection with Avian Influenza A(H7N9) virus. Ebola in the Democratic Republic of the Congo? Six suspected cases of Ebola have been reported in the northeastern Democratic Republic of Congo, just six months after an outbreak of the deadly virus ended in the area, the United Nations said Wednesday. To date, no treatment or vaccine is available for Ebola, which kills between 25 and 90 percent of those who fall sick, depending on the strain of the virus. Ebola, one of the world’s most virulent diseases, was first discovered in the DRC in 1976, and the country has had eight outbreaks. The most recent epidemic, in the same region, infected 62 people and left 34 dead between May and November last year. The muscle tissue of the frozen carcass was also stunning – the color of fresh meat, totally unlike meat that is centuries old. Despite the Wildfire Hazard Level for the Waterways area being lowered slightly to “High,” five new wildfires were ignited in the Fort McMurray area Tuesday evening, each caused by lightning. There are currently four wildfires still burning in the area, all of which are northeast of the city. Two of the fires are classified as “being held” and two are considered “under control.” No communities or industrial sites are being threatened by the fires. 5.3 Earthquake hits near the east coast of Kamchatka, Russia. 5.1 Earthquake hits near the east coast of Kamchatka, Russia. Tropical Storm Barbara forms in the Pacific 145 mi (230 km) SSW of Salina Cruz, Mexico. A Tropical Storm Warning is in effect for Lagunas de Chacahua to Boca de Pijijiapan, Mexico. Additional strengthening is forecast before Barbara reaches the coast of Mexico today. Southaven, Mississppi has declared a state of emergency after floods inundated homes. Some areas received nearly five inches of rainfall Tuesday evening, which is more than a month’s worth of rainfall. At least four tornadoes hit northeast Kansas today. According to Emergency Management, the tornado damaged 20-25 homes and businesses in Marysville. Marysville is about 150 miles northwest of Kansas City near the Nebraska border. Other tornadoes touched down in Smith, Jewell County and Clay counties. Tornadoes destroyed at least two houses in Smith and one house near Esbon. Hailstorms have also been reported in the town of Mankato, in Jewell County, Kansas. Around 4,000 people have been evacuated following wildfire in Southern California today. 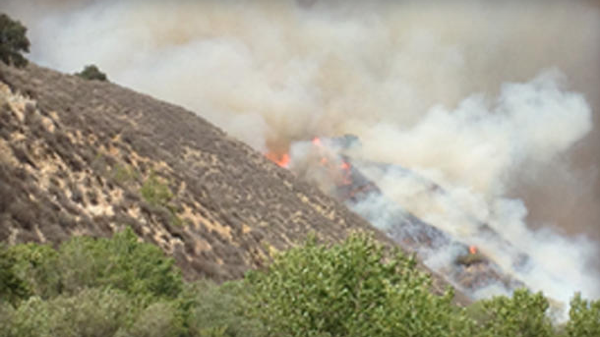 According to The U.S. Forest Service, the so-called White fire first broke out in the Los Padres National Forest yesterday. Los Padres National Forest is located 15 miles north of Santa Barbara. The White Fire covers 1,200 acres and is 10% contained. For the third day in a row, a remarkably fast (600 km/s – 700 km/s) stream of solar wind is blowing around Earth. This is causing magnetic unrest around the poles as well as elevated levels of high-energy electrons in Earth orbit. NOAA cautions satellite operators that “satellite systems may experience significant charging” in response to accumulated electrons. In Venezuela, 17 people have died and another 250 have been infected from an outbreak of H1N1 swine flu. Most of the current cases have been in border states near Colombia. Venezuela’s health minister has described this latest outbreak as the tail-end of the 2009/2010 pandemic. Saudi Arabia has reported that five more people have been infected with the Middle East respiratory syndrome coronavirus (MERS-CoV), as if to underline the warning from the head of the World Health Organization (WHO) that the novel coronavirus is a global threat.